Oh, it has been a while. Far too long, if I must think back to the last time I had the pleasure of ruining your life. You've amassed quite a life for yourself since then, reviewing childish "video games". Do you remember a game we played when we were children, J? Grand Theft Auto. You used to spend your time trying to obey the laws, stopping at red lights and letting pedestrians cross the road. You only killed when necessary, and even then you never liked it. You were a true gentleman. You could never bear to watch me play, driving on the sidewalk and laughing gleefully as pedestrians flew to the wayside without a care in the world. Funny now that when I find you again, I too have recently been playing a "video game" much in time with Grand Theft Auto. Sleeping Dogs, my friend. Have you heard of it? Simply put, this game has made me reminisce of the days of old. 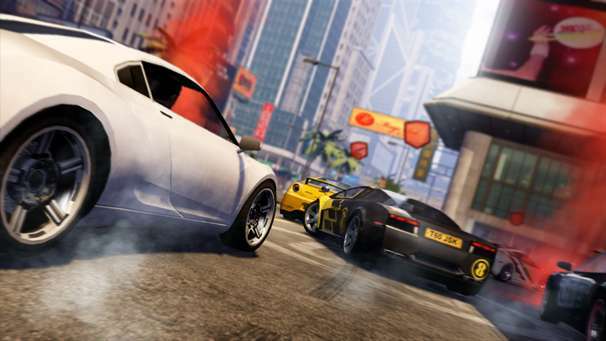 Fast cars, shootouts in crowded places, and of course, death. I much appreciate the latter of the three the most. 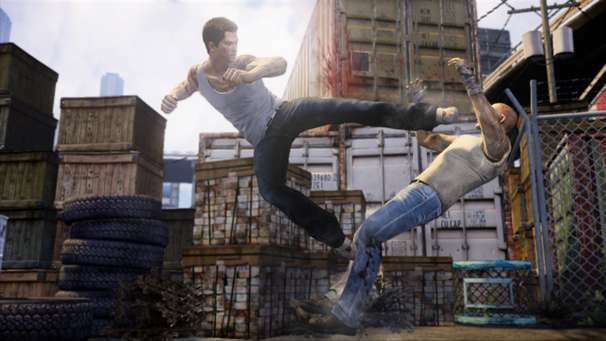 However, this game seems to incorporate a larger focus on hand to hand combat. Playing off the ridiculous stereotype that everyone in China knows some sort of martial arts was surprising, J. While I personally prefer using a pistol to a punch, the fighting system was very fluid and violent, like a poison coursing through a person's veins. Watching a poor soul attempt to take a swing at me only to result in his arm being broken...it was simply delightful. However, just like you and I, our story is not perfect. Not yet. In a world where everyone can just be another Grand Theft Auto, or in your case, just another petty game reviewer, there needs to be something that makes them stand out. As it was with Saints Row 2 and 3 against Grand Theft Auto 4, the story of the former made it far more enjoyable than the latter. 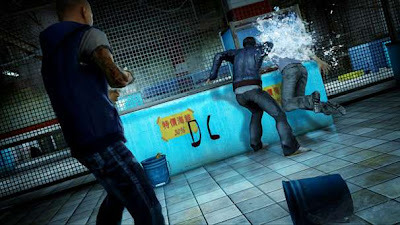 This time around, the main character (going by the dreadful name of Wei Shen) is an undercover cop sent back to China, where he grew up, to infiltrate the Triads. I can say, after many dark deals with members of that illustrious organization, this wouldn't have been so easy. But then again, I doubt any Triads were on hand as advisors. They make mention of Wei's past as well, mentioning his sister, who he believe died because of a Red Pole named Dogeyes after an overdose. It's mentioned so much at the start that I personally couldn't imagine why it wouldn't have been a centerpoint to the game. Except...it isn't. It's mentioned off hand a few times, but it never seems to have any sway over the game itself. That, old friend, is where the game begins to fail. You see, there are many things of this game that remind me of you. For instance, the lovely women they allow you to woo in the game. Top talent was on hand for the voices these ladies, including the ever-beautiful and elegant Emma Stone. You would think these women would be around for the rest of your game but, much like the ladies you've been with, they don't stick around for very long. What was her name...Eleanor? Ah yes, beautiful Eleanor. Wonderful Eleanor. How much like a drooling dog you slobbered around after her. And once again, just like you and Eleanor, J, after these wonderful ladies have left, you never hear from them again. It's quite sad considering the talent they had on hand that they couldn't keep them around for more than 2 missions to give you a simple way of finding certain collectables on the map. At least give us the option to have one and continue the game with them. But as it seems to be, Wei Shen, much like you J, ends this game all alone. As Wei Shen continues to infiltrate the Triads, many things become conundrums. For the more intelligent of people like myself I continued to find my questioning of the game ever present. For instance, there is a mission approximately one third of the way into the game that requires you to kill a man to prove that you are not a cop. At this point I have easily killed hundreds of different people, but my loyalty was still waivered at the killing of one? No, no sir. If I'm going to kill one hundred people, another one is just a statistic. Sadly, J, on top of that, it's predictability, much like yours, is saddening. Many key points in the game that they mean to be big reveals are very easily figured out by even the smallest of minds, but the games storyline feels like at times that it's just a joke that's went on for far too long, and you've already had the revelation of the punchline in your mind. You had even a chuckle or two, thinking about how funny the joke would have been if it was told properly and told in a way that was meant to be more of a surprise in the end. And when the punchline comes, the laughter is a mere courtesy. Beyond that, the game decides to give you mini-games and different things to accomplish that seem a bit arbitrary. One portion of the game requires you to go and take down a gang of triad members and then hack into a security camera to allow the police to arrest a person. But, once you figure out exactly where the security cameras are after going on a date with a woman you, again, never hear from, you may end up finding many of these cameras and hacking them without ever seeing a single gang member...and thinking that's all you need to do, you head back to your apartment and check your television to attempt to capture the leader of the triad ring, and yet...there is no Triad activity. No, instead you have to go back and wait until thugs decide to appear near the cameras and beat them all up before any sort of activity happens. Oh, but if the errors only ended there. As well, after getting a much larger and much more substantial apartment for my lifestyle, an upgrade from the shanty that they start you in, I ended up going to sleep many times as a mission would require and would wake up after a cutscene in my old apartment. Somehow I must have gotten up, slept-walked into a car, and drove myself home. Now of course, my Butler would be able to drive me wherever I wish, even if I asked for it in my sleep, but Wei is not...influential enough to afford things like that. As well, many times numerous areas were blocked off and you would have to take a very long detour to find them. There were too many missions that were only 100 or 200 meters away from me, but I would have to drive thousands of meters all the way around simply because I could not get to them. Unlike Saints Row or Grand Theft Auto, there are no simplistic ways of getting over these obstacles. So you would have to spend many a mission attempting to drive all the way around China just to see the rather beautiful detailed textures and designs, but it became tedious in the end. Luckily there was a taxi system that was very affordable that would take you to whatever mission you chose. As far as the collectables go, many of them are in plain sight and not very difficult to find. I found many of the Jade Statues without ever really trying. As a matter of fact, if the game made them any easier to find, it would have been throwing them at my head in the middle of missions. But even the thought of that reminded me of our childhood, J. Me, throwing rocks at your head as you cried for your mother. Ah, those were the days. And while there were many issues with this game, I look forward to a sequel. This was a game of trying new things, and while some succeeded, others did fail. But it was a fun ride. I'm appreciative of the time I spent with it, but now I have much better things to do, J. Such as, once again, ruining your life. And I'm sure just like Wei Shen's past, I will haunt you just as much. But, unlike Wei Shen's past, I won’t be so easily forgotten. 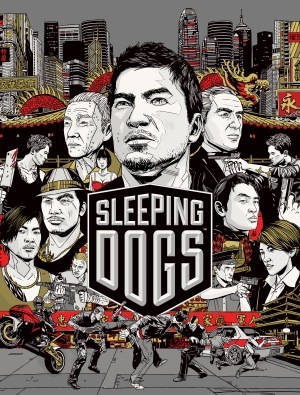 Verdict: If you like games like GTA or Saints Row, you'll enjoy Sleeping Dogs. 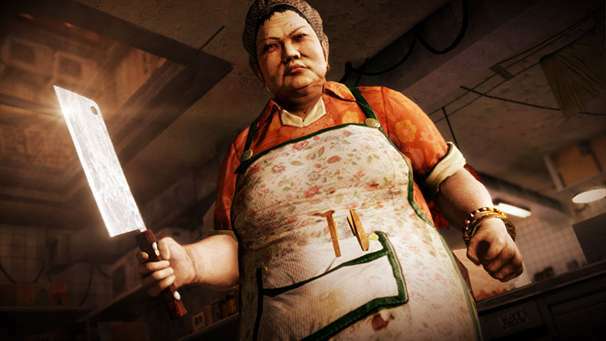 Though it has its flaws, the core gameplay and intriguing story are enough to keep you playing. The review is quite informative, but utterly unnerving. I'm terrified in my bones. Let's just hope he forgets I even have a website and moves on.